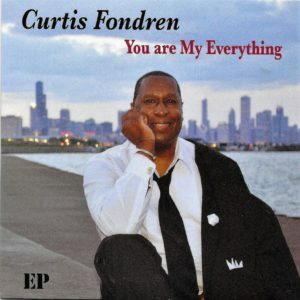 Those who know the Chicago gospel scene know Curtis Fondren. A percussionist who has worked with untold numbers of gospel artists, the Reverend Dr. Clay Evans’s Fellowship M.B. Church Choir in particular, Fondren has participated in more recordings than one can count. Most recently, he was holding down the beat for the artists on Lift Him Up: Chicago Gospel Keyboard Masters, a 2016 release by The Sirens Records. You’ll hear Fondren on his new EP, You Are My Everything, as a musician and songwriter. He has trotted out several beloved gospel singers to bring his song compositions to life. Some of the songs he wrote by himself, while others he penned with his pal, Gregory Gay of the famous Gay Family of the Church of God in Christ (Gay Sisters, Donald Gay). 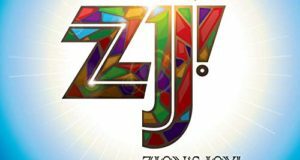 Although the EP’s seven tracks traverse a mélange of musical styles, they are stayed on the message that God has not forgotten you and will be there when you need Him. That’s the main premise of the opening track, “Get Ready,” where the getting ready is not about the Rapture but about your season. A sample from a Bishop T. D. Jakes sermon is tucked inside the track to raise its emotional temperature. 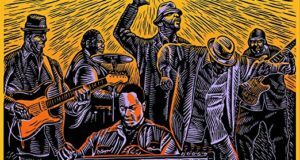 On “Trust Him,” quartet lead singer “Lil” Harry Bullock and the DuBose Brothers offer up the EP’s finest moment. The cut moves at a mid-tempo traditional strut, Bullock delivering doses of wisdom straight from old time religion. Once again, the message is to have faith in God and never doubt Him because he has your back. Bullock, who sings with the Victory Travelers, is one of the finest young lead vocalists in gospel quartet today. 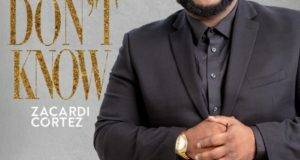 The title track and “He Did It All” are bathed in the kind of harmonies that anyone who knows anything about 1990s gospel choir arrangements will find familiar. Fondren’s fealty to this sound is not surprising, given his decades of experience as a church musician. The best part about You Are My Everything is its group of guest vocalists, notably the aforementioned San Franklin-Jackson and “Lil” Harry Bullock, as well as Tina Brown of the Barrett Sisters and gospel coloratura Felicia Coleman-Evans. Nash Shaffer III, a son of the late gospel historian Nash Shaffer Jr., provides prayerful narrative. Since the EP is identified at the outset as Volume One, the listener can be assured that Curtis Fondren has more songs in his vault to release in the future.